Congestion, sore throat or dry cough are just a few complaints amongst the many common throat-related issues these days. But no matter how frequently these illnesses occur, they always make it difficult for you to eat and swallow food, your taste senses go for a toss and you are left with constant discomfort and, in some cases, pain too. Certain ingredients commonly available in Indian kitchens are known to bring long lasting relief. One of these time-tested ingredients is elaichi or cardamom that has been known to help reduce pain and irritability in the throat. 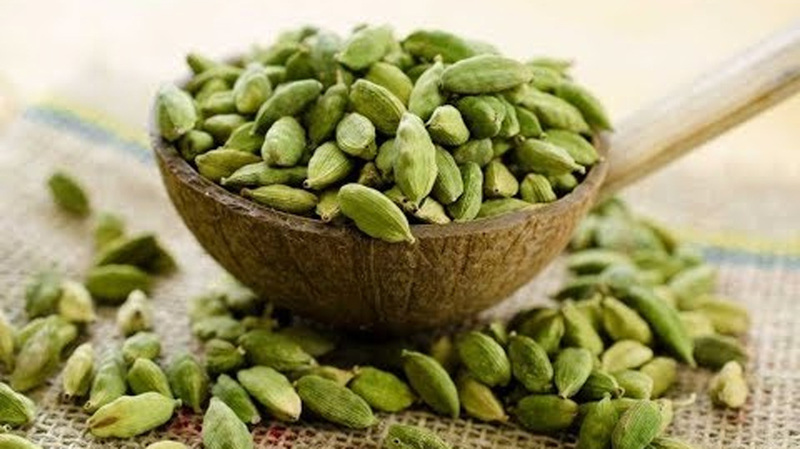 Let’s look at how cardamom helps in managing these conditions. Elaichi For Colds & Cough: How Does It Help? According to Macrobiotic Nutritionist and Health Coach Shilpa Arora, “Oil from elaichi is a useful stimulant; it is an antiseptic that helps calm the digestive system that further heals the throat, colds and cough. Sore throats and cold are also caused due to toxins accumulated in the gut that suppress the immune system. So healing the gut is essential and elaichi counteracts digestive problems.” Cardamom or elaichi contains many plant derived alkaloids that known for their potent antioxidants and health promoting properties. Its anti-inflammatory properties limit pain and swelling, especially in the mucus membranes, the mouth and the throat. Mix together a pinch of cardamom powder, a pinch of rock salt, a teaspoon of ghee, and half a teaspoon of raw honey. This mixture is known to provide instant relief from cough. Ayurvedic Expert Ashutosh Gautam suggests making a concoction with green cardamoms and cloves, which helps in combating the irritation caused in throat due to the pollution and dust particles that affect your lungs. Both the ingredients come packed with antioxidants that neutralise the toxic effects of pollutants. Sore throat can be relieved by infusing cardamom in water and gargling with it in the morning to cure a stubborn sore throat. Take cardamom and sugar candy or mishri in 3:1 ratio and powder them well. Take around a teaspoon of this mixture with some water at least two to three times a day to see effective results. If you are suffering from cold, it is best to make some warm cup of cardamom tea for yourself. The astringent properties in cardamom tea will help soothe the blocked mucus membranes causing congestion and pain. Adding cardamom to your food on a daily basis is a good way to avoid throat infections and related conditions and boost your immune system like never before. Do consult a doctor before starting on any regimen if you suffer from chronic throat-related complaints.